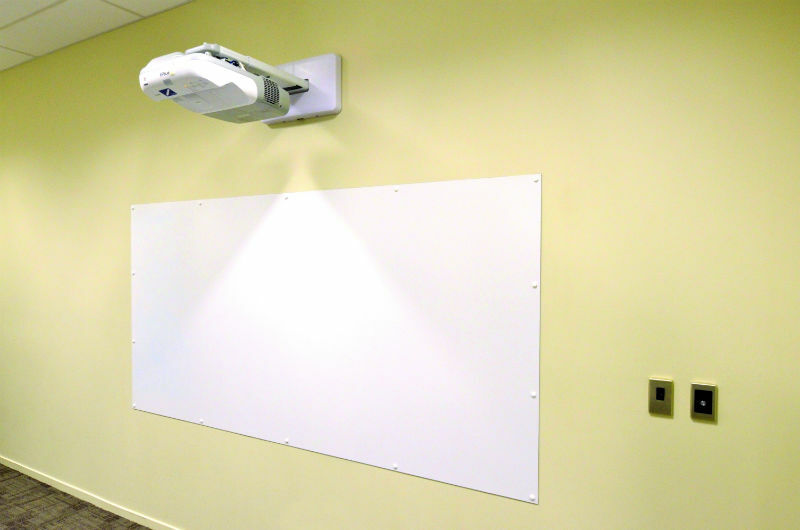 Today, whiteboards are more complex than ever, impacting the education landscape with potent cost and training implications. Hence, it’s essential to appreciate the positives and the challenging elements of whiteboards. This summer The Telegraph carried an apology from Education Secretary Damian Hinds, accepting ministers’ attempts to harness digital innovation have in the past been ill-conceived. He argues schools must decide which products suit them best, and not get duped by novelty items with little learning value. “With around a thousand tech companies selling to schools, it’s by no means easy to separate the genuinely useful products from the fads and the gimmicks,” he told The Telegraph. But how can teachers and lecturers sift the wheat from the chaff? Interactive whiteboards did change the classroom years ago, but change was happening on the periphery. Today’s solutions offer far more connected experiences, bringing added efficiency and joined-up advantages when implemented correctly. “Along with advances in interactive display hardware, the evolution of cloud-based educational software and the use of hand-held devices has shaped the way lessons can be delivered,” Rachel Ashmore, Head of International Training Alliances, Promethean, explains. Hinds writes he has seen such state-of-the-art technology allowing pupils to explore Amazonian rainforests, steer ships and program robots, delivering genuine engagement and connected learning opportunities. So, when selecting functionality, seeking joined-up, cross-platform connected solutions is a must. Ashmore advises that schools consider their existing technology, and how new panels integrate. When upgrading from legacy interactive whiteboards, evaluate as many brands as possible, rather than upgrading from the same manufacturer. This sounds obvious, but in the time and finance-pressurised teaching environment, it’s easy to procure upwards from the same source as a way of quickly ticking boxes. A more detailed approach is advocated. She urges that when procuring a new panel, teachers have the opportunity to trial it, or see a demonstration prior to purchase. Beyond the need to connect cross-device/platform, educators should ask: how does the screen actually perform as a screen? Some teachers told us historic projectors weren’t only slow and clunky, with a distracting constant humming sound. Age meant screens faded, making it difficult for students to see, and virtually impossible for any student suffering from any degenerate eye condition to see at all. Today’s new interactive screens should offer a kinder, sharper visual experience to users; both teachers and students. “Beyond the software, new flat panels offer a sleek, updated alternative. Brightness and resolution have all been improved, with size often being the only compromise,” Nancy Knowlton, Nureva’s CEO, explains. Carl Sheen, Head of Training and Product Development at Genee World, agrees. “Much potential was left untapped due to the perceived complexity and pitfalls of the technology. Weaknesses were addressed with the advent of interactive flat panel displays; brightness, clarity, product lifespan, usability were all addressed,” he said. Once a well-connected, high-spec, visual-quality screen has been found, the next challenge stems from embedding this within the school’s day-to-day teaching and activities. One school said they use interactive screens throughout the school to promote their ‘five-a-day’ videos; designed to get the children up, moving and energised. In the classroom, screens’ success depends on degrees of confidence with tech throughout teaching teams. All should share the same vision; embracing technology and making sure children are digitally competitive. “Like any new piece of technology, learning how to integrate an interactive whiteboard into everyday teaching and learning is the challenge and opportunity,” comments Knowlton. She argues since the first screens over 27 years ago, teacher practice has dramatically improved, shifting from teacher-centred approaches to student-centred. Sheen believes today’s displays positively support the education landscape, rather than shaping it. The tech provides tools for differentiation, assessment, communication and presentation, which with device-sharing all make life easier. 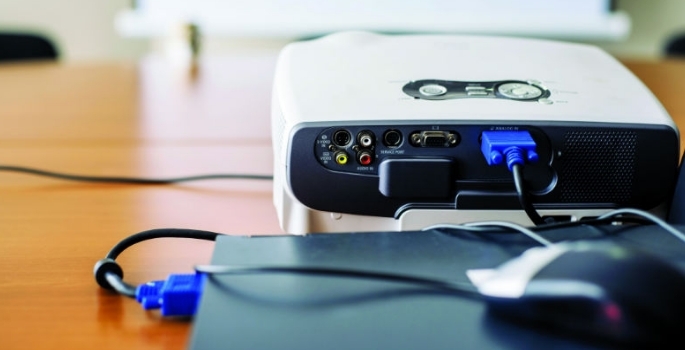 “With the lifespan and efficiency of modern touchscreens, institutions should find costs are lower than projectors and whiteboards over a relatively short period of time,” he said. 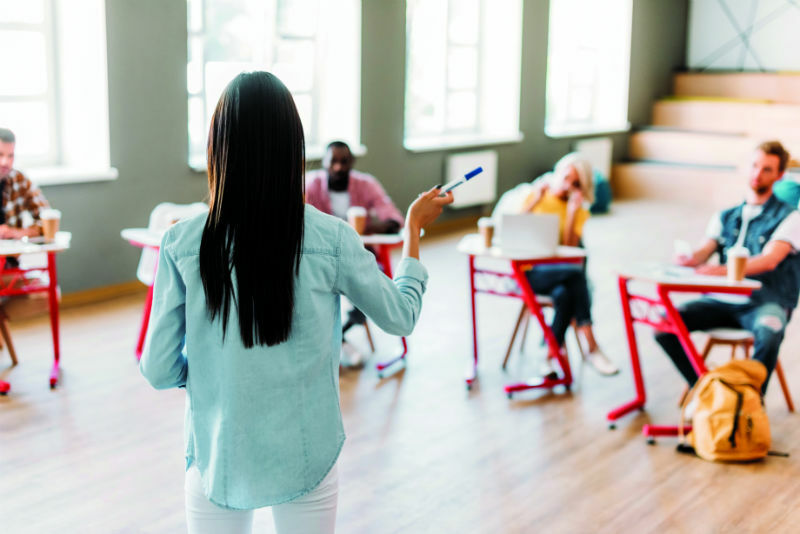 Jeroen Spierings, Regional Head of Education EMEA, Sales & Marketing at Ricoh Europe PLC, says that technology is increasingly used by schools and universities to change up learning practice. He arges this is changing instructor-led teaching to more collaborative and project-based practices; universities want to use technology to support blended, interactive, flexible and collaborative learning. But it comes with a caveat. Training, argues Spierings, is vital; worth investment to enable staff to extract the maximum benefit from tech. Best practice involves teaching staff in the procurement process for technology, so it makes absolute sense to set out, understand and plan training early too. For universities, Sheen suggests a focus on needs and uses within the organisation. Is a no-frills screen really the right option? “This will be cheaper, but will lack the variety of tools and features the institution may find essential,” he said. Key challenges include identifying a reliable partner with quick, efficient UK-based service, and simple software that meets the needs of teachers and students. Picture an interactive screen without a teacher; it is useless. “Technology can enhance and enrich learning, but you need the DNA and attitude as a teacher to go beyond your comfort zone and traditional way of teaching too,” commented Spierings. This encapsulates what today’s Education Secretary seeks: “By forging a strong partnership between government, technology innovators and the sector, we can transform how education is delivered for the learners of today and tomorrow,” Hinds told The Telegraph. Beautiful, connected hi-res tech, then, delivered with fine training and the deep understanding that it’s teachers who make it work best, is the path to success. “We didn’t want edtech to dominate learning or the learning spaces. We looked at the various pedagogical approaches we would be using, building the learning spaces and technology around these. It’s about learning first, not technology. “The technical specification of an interactive panel doesn’t vary hugely between brands. Our main priority was working with a company that is truly invested in improving education through the use of technology.